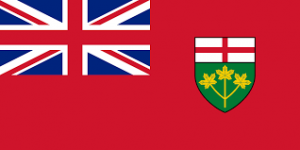 Did you know that Ontario adopted a strong accessibility law over ten years ago? The Accessibility for Ontarians with Disabilities Act (AODA) from 2005 aims to make the province fully accessible by 2025. Unlike Quebec’s disability law, the AODA applies to both the public and private sectors. It also includes penalties to ensure compliance. Quebec Accessible has developed bilingual plain language tools to help you understand Ontario’s accessibility law. They explain what businesses, non-profits and government agencies must do to make their services accessible to people with disabilities. What can Quebec learn from Ontario’s groundbreaking law? Find out by using the new tools on our website! Be sure to share them with your networks. And if you have already done so, check out our tools on Quebec’s disability law. Stay tuned for information about our campaign for the provincial elections this fall! The first standards under the Accessibility for Manitobans Act, the Customer Service Standards, will take effect for the private sector this fall. These standards plan for actions, policies and practices to remove and prevent barriers to accessibility in customer service. Click here to learn more about the standards. Click here to read news coverage on this topic. On June 20, the federal government presented Bill C-81, the Accessible Canada Act. Canada’s disability community has been waiting for this bill for decades. The bill aims to eliminate and prevent barriers facing people with disabilities in areas within the power of the federal government (ex: employment, the physical environment, information technologies). If passed, the bill would help ensure the full inclusion and social participation of more than 600 000 Quebecers with disabilities. Although this historic event was covered in the major anglophone media (CBC, The Globe and Mail, CTV, The Star, National Post), it received no coverage in the francophone media. This is unacceptable. Disability issues are social issues that affect us all. They deserve better media coverage. Quebec Accessible denounces this oversight in the French media. Like all other citizens, the voices and experiences of people with disabilities deserve to be heard. How can we critically examine the issues that affect us and ensure that our rights and freedoms are respected if our issues are ignored by the media? We urge the French media to give equal attention to disability issues. Let’s unite our voices and take the space we deserve in Quebec society! Please share this message with your networks. In 2017, the Canadian Journal of Disability Studies published its first volume in French: « Handicap et cultures francophones ». Read Melanie Benard’s article on the history of Quebec’s disability law: « Promouvoir l’accessibilité à l’aide de la loi : un appel à une réforme législative au Québec ». On May 10, Melanie Benard, co-founder of Quebec Accessible, was interviewed on CBC radio’s Daybreak show about the lack of accessibility in Montreal. Listen to the interview here. Read more about this story here.